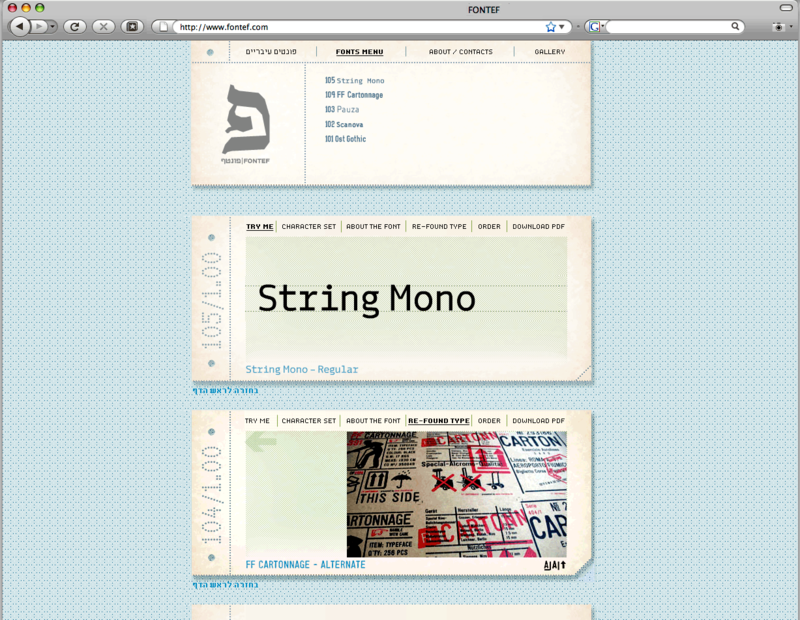 A site for the typographer Yanek Yontef who needed to rearrange his type-foundry. The site gives him a way of exhibiting the fonts, through a font ‘try-me’ typing test, a display of the character set, information about each font, the re-found typography gallery and at last the opportunity for users to order fonts online. Our original design for the site is archived here. 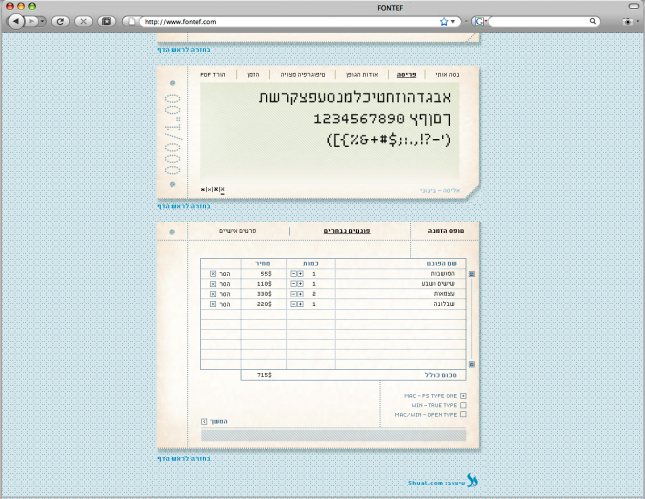 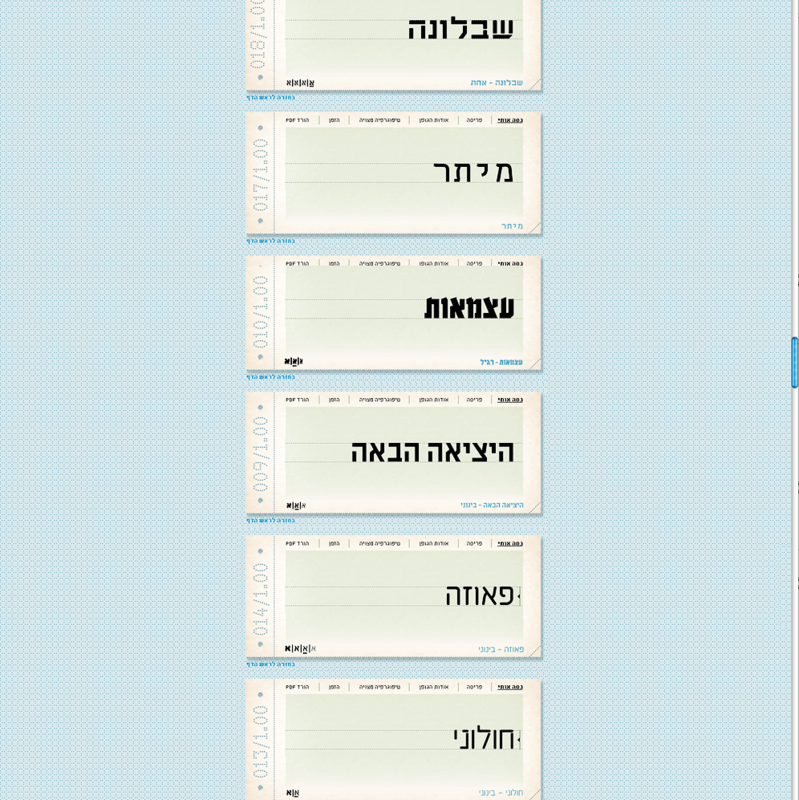 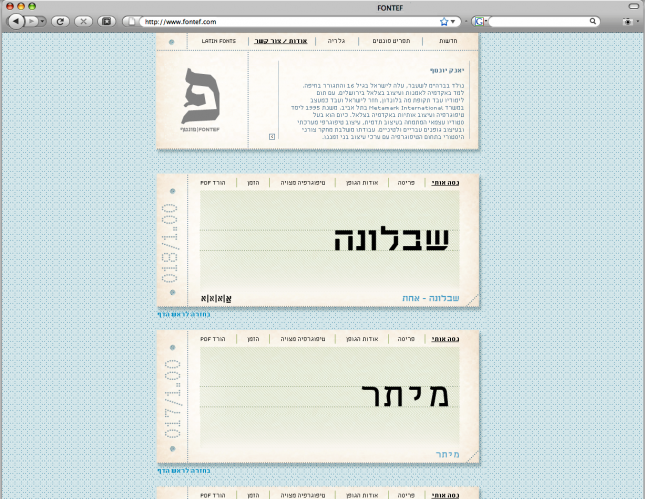 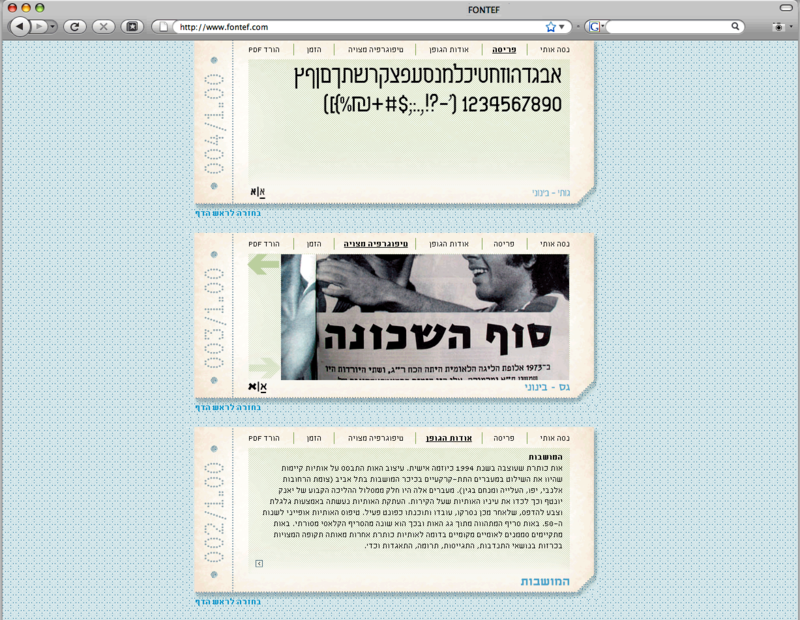 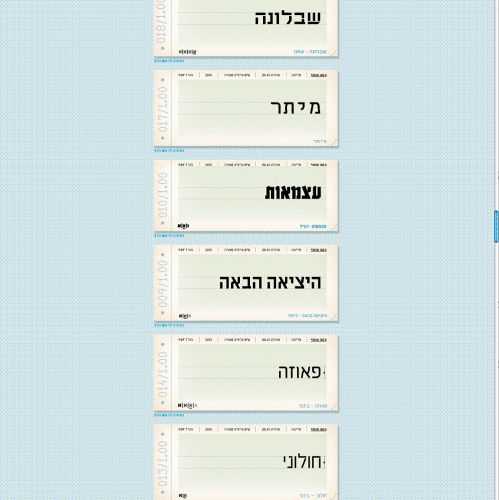 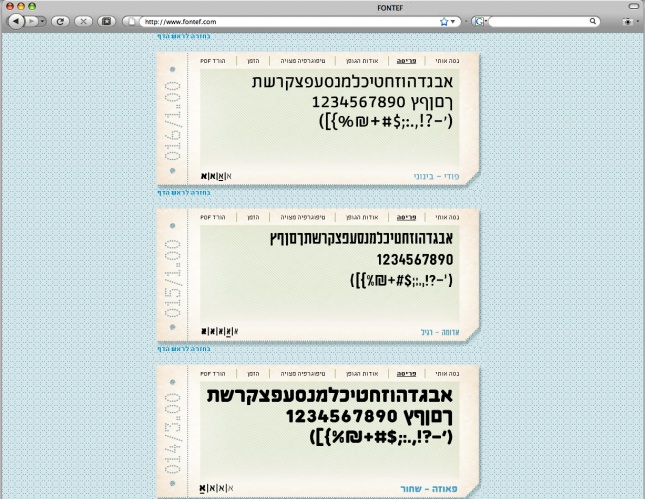 Fontef.com has since been updated by Meir Sadan.